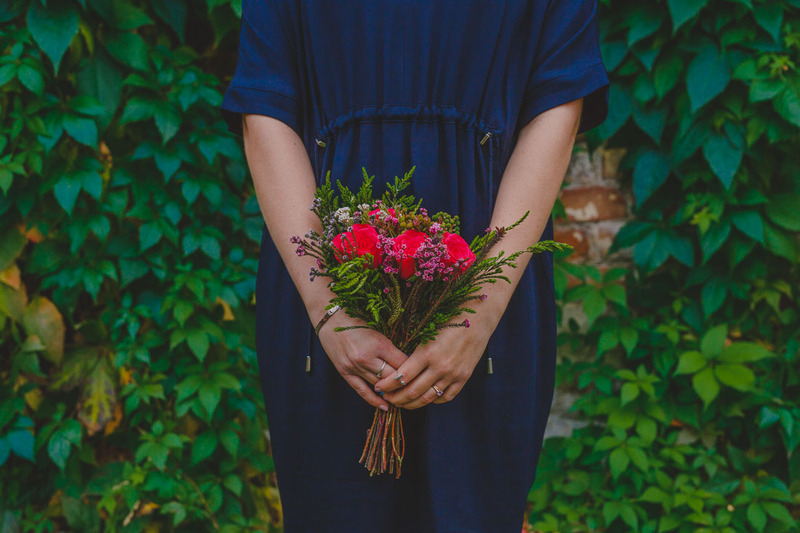 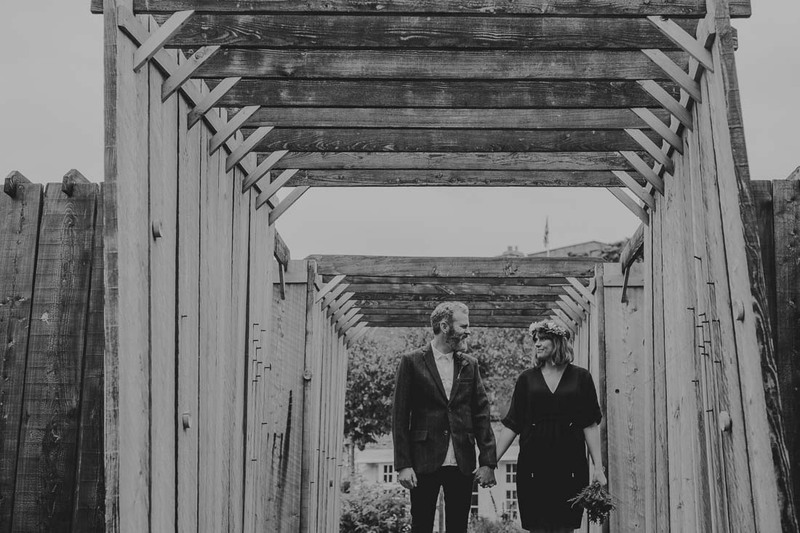 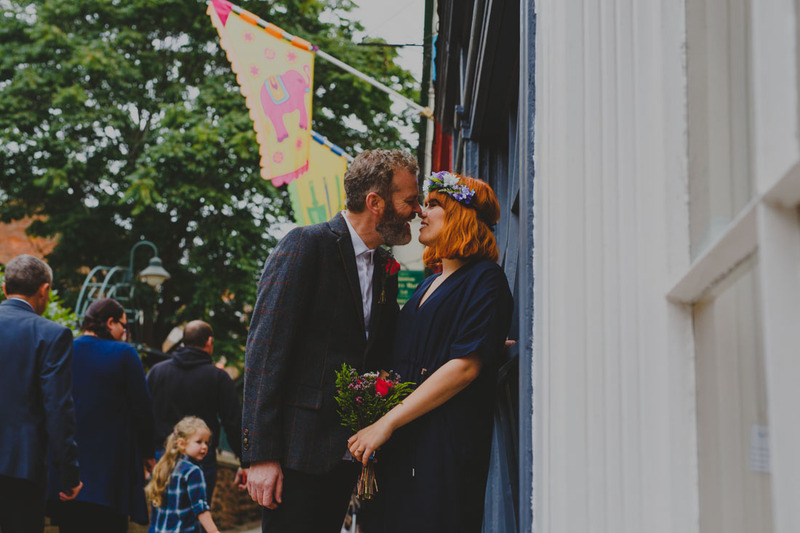 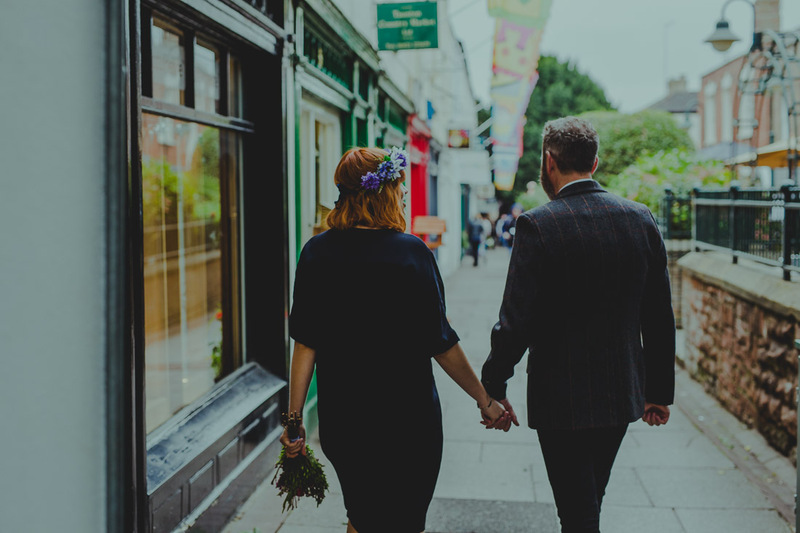 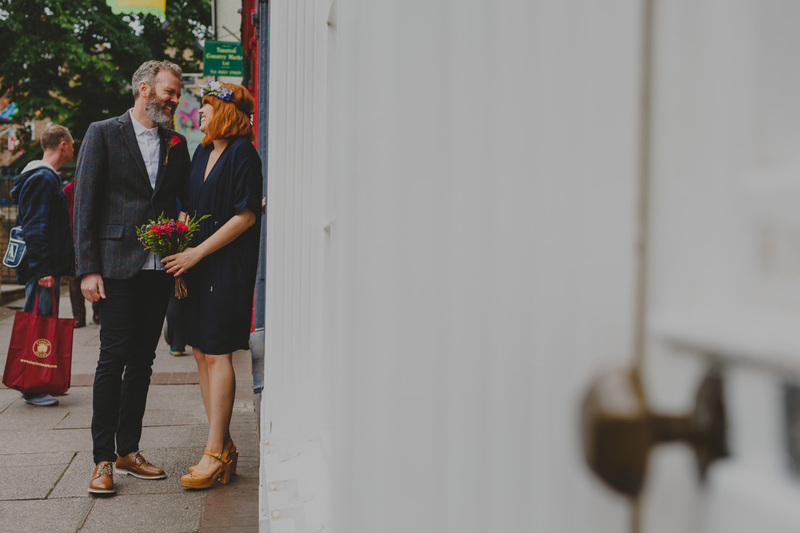 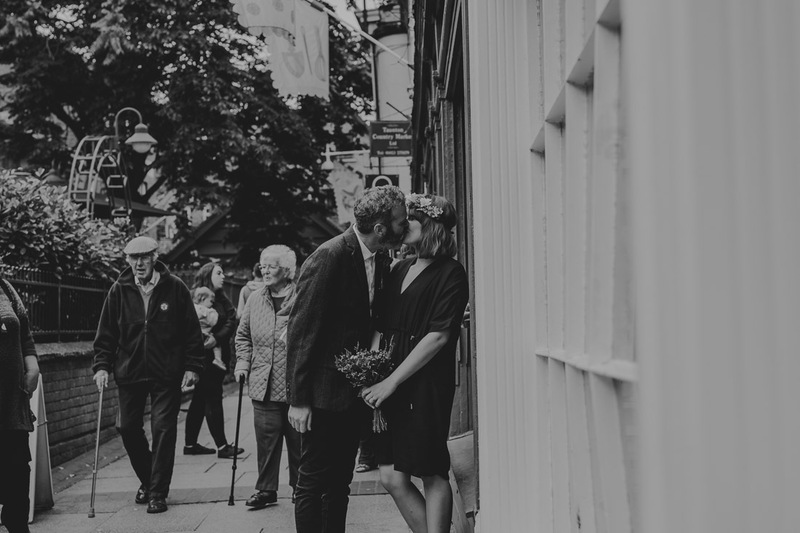 An elopement wedding is sometimes the best kind of wedding. 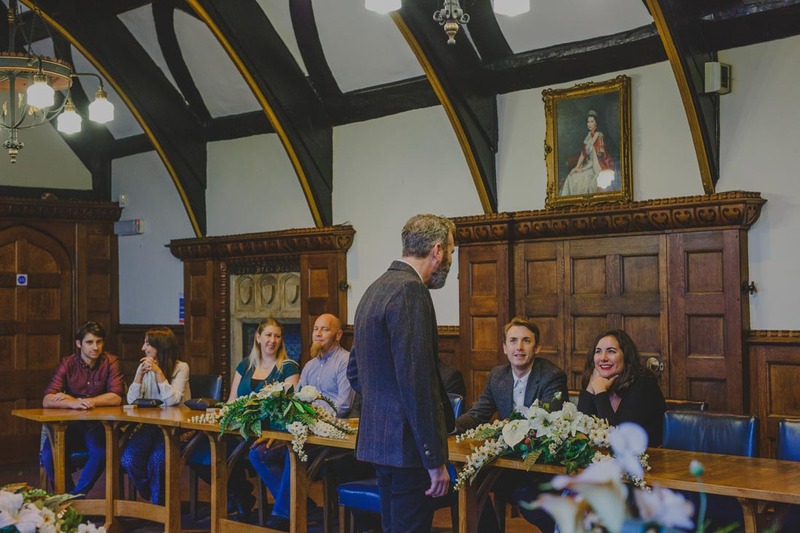 Having a massive wedding with endless lists and people you don’t know that well not to mention the expense – means it is not for everyone. 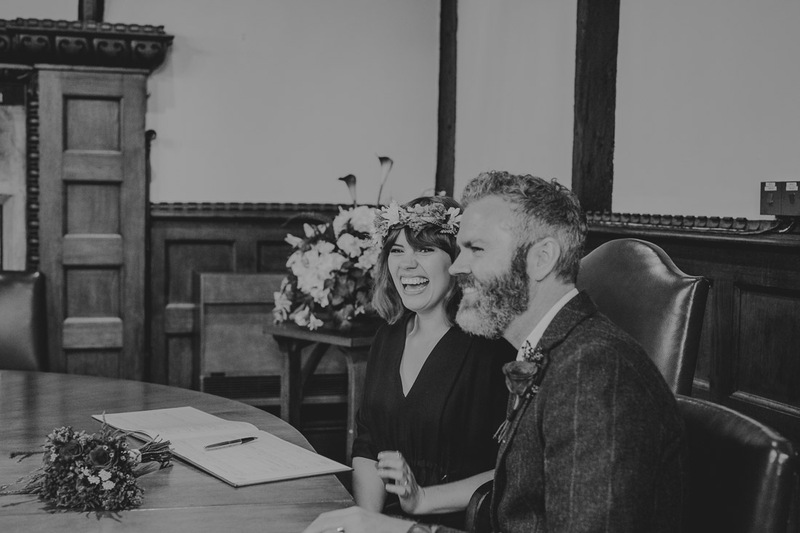 Nicola and Jason found me on Google and we had an hour long Skype chat before they booked me – I’m pretty sure we laughed the entire time. 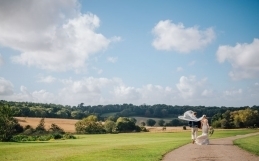 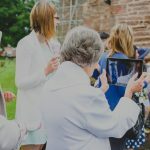 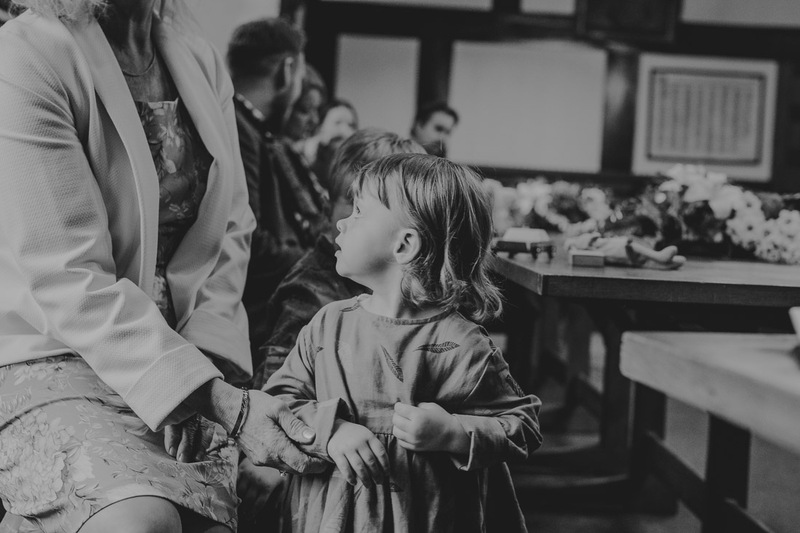 It was clear that although they wanted a small wedding, wedding photography was still very important to them and they wanted a keep-sake to share with family and friends after the event. 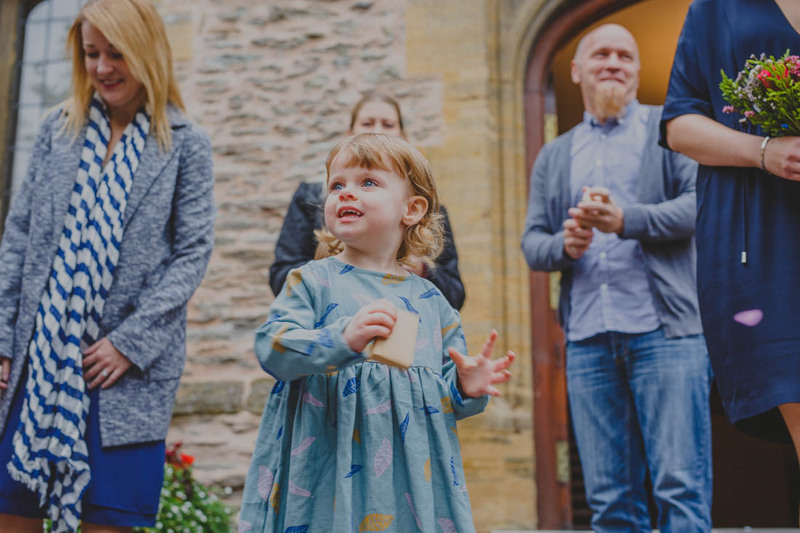 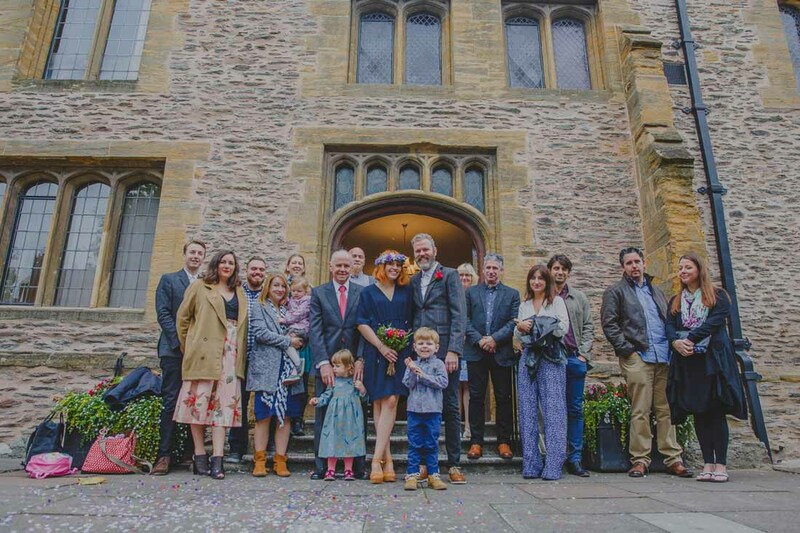 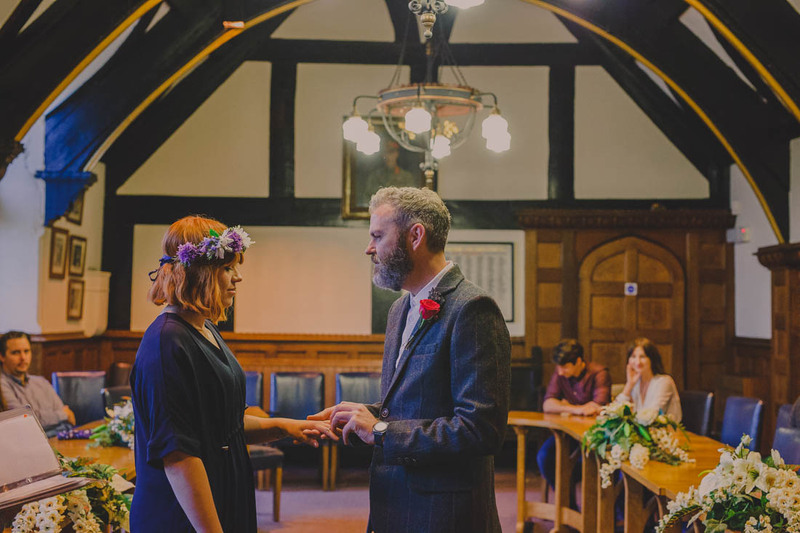 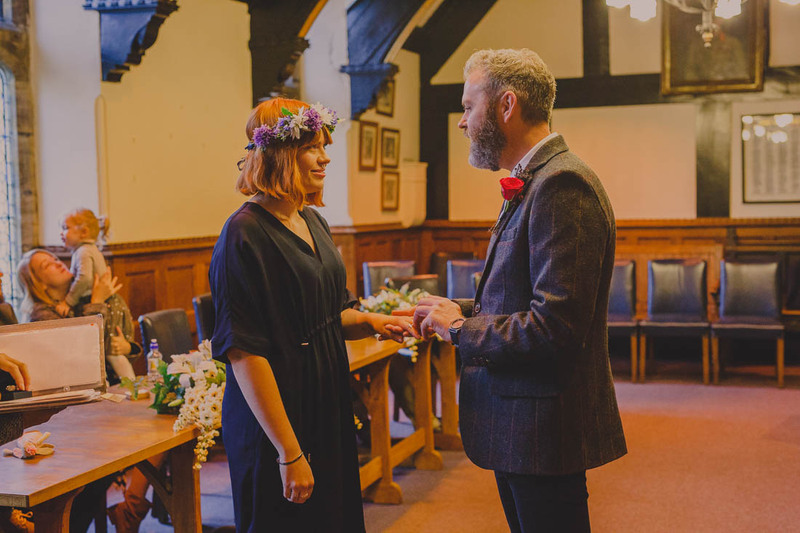 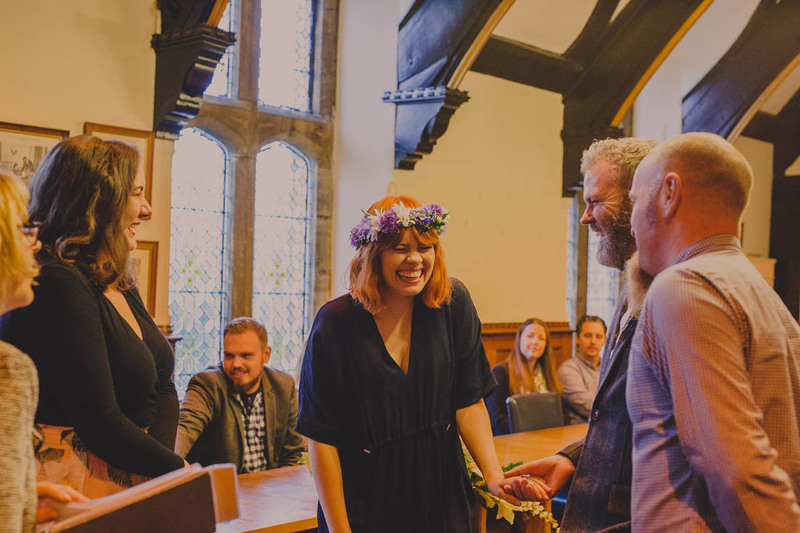 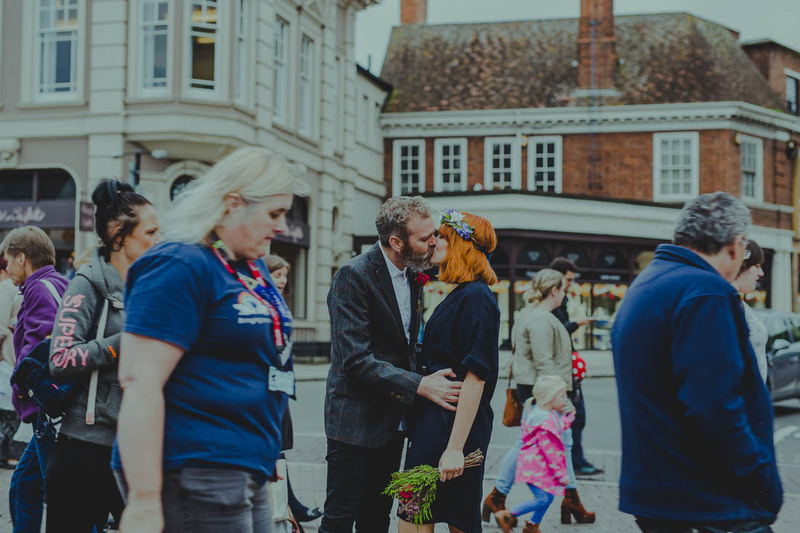 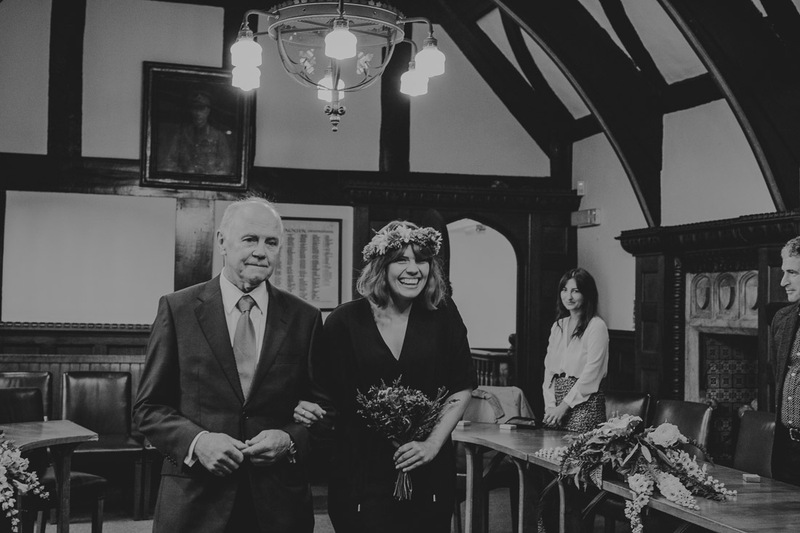 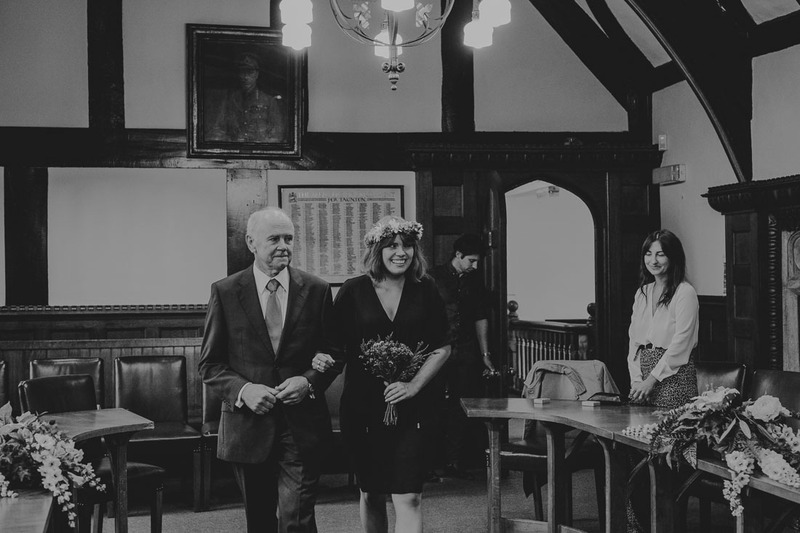 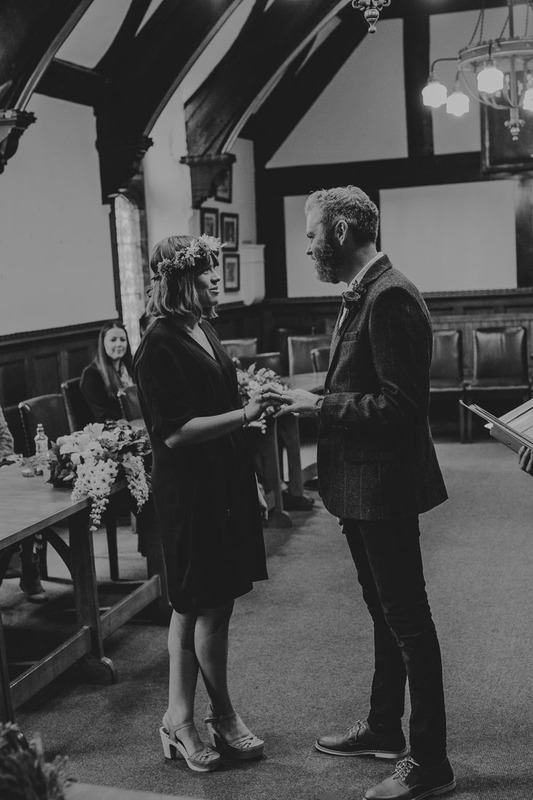 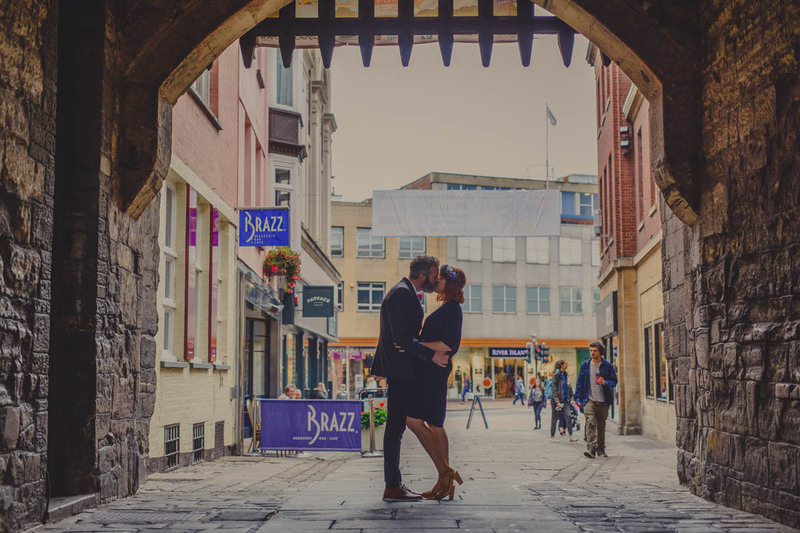 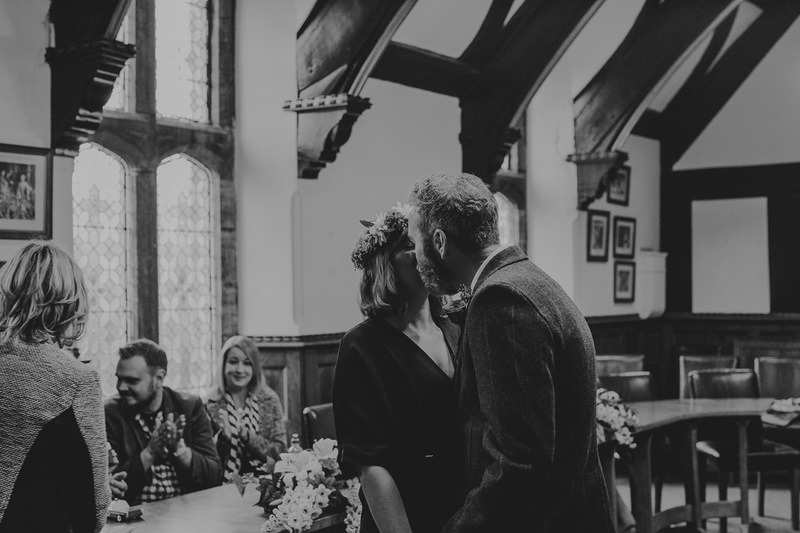 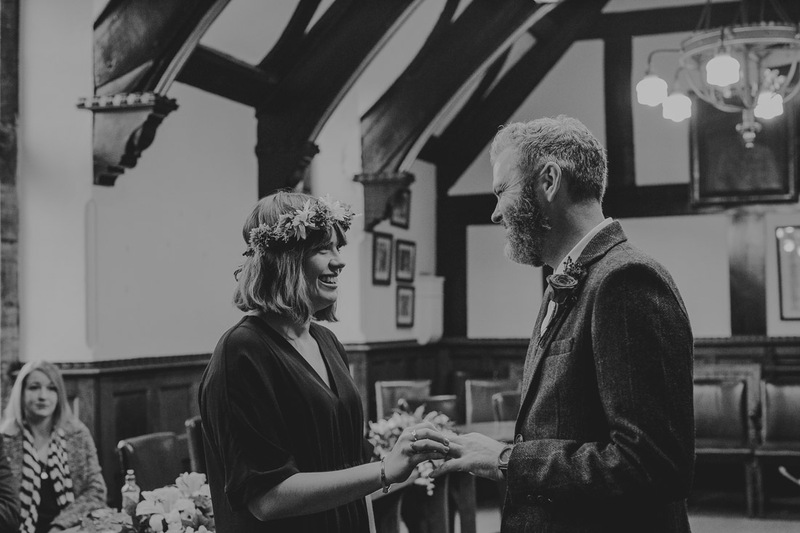 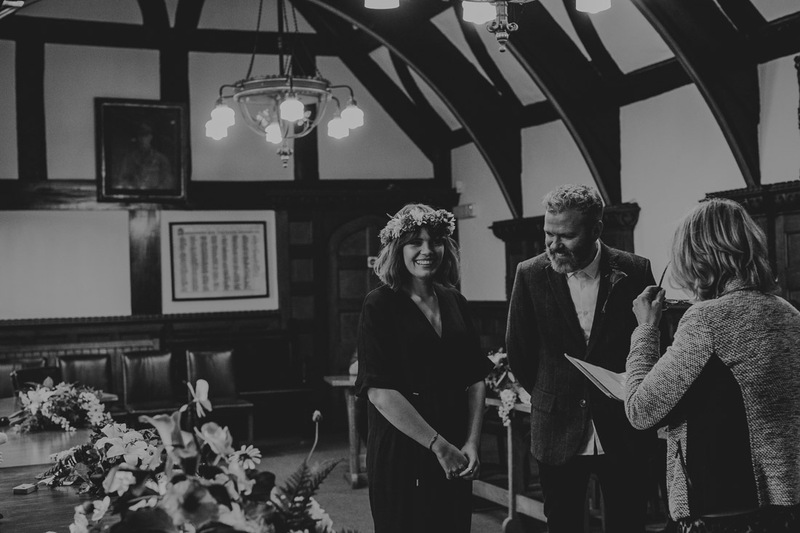 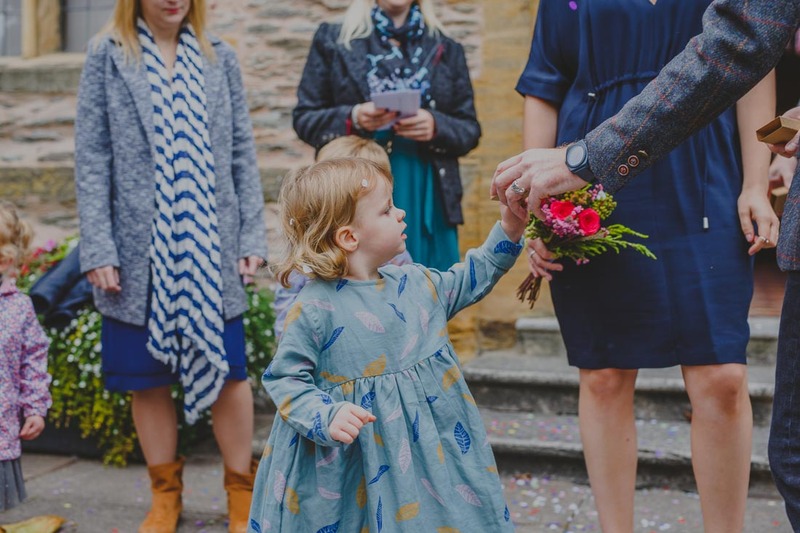 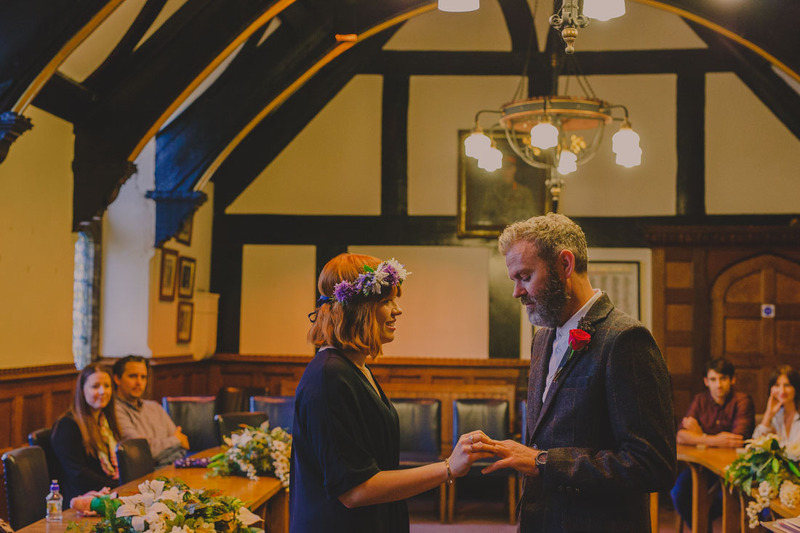 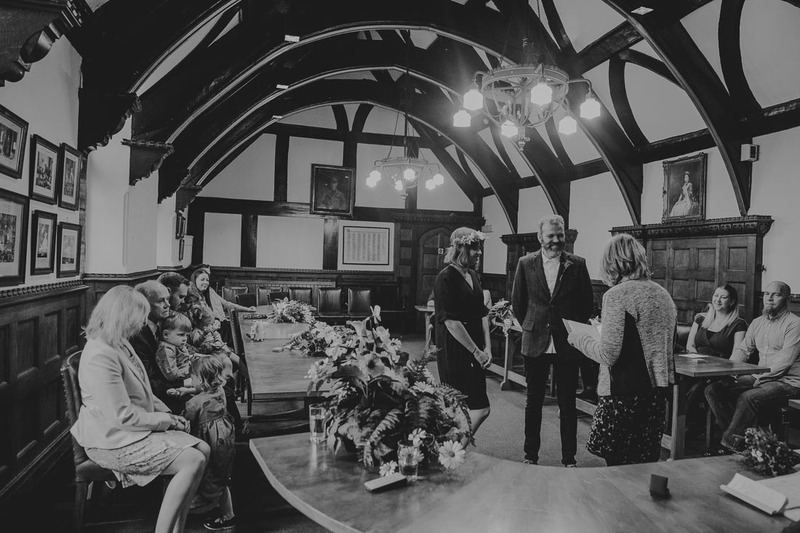 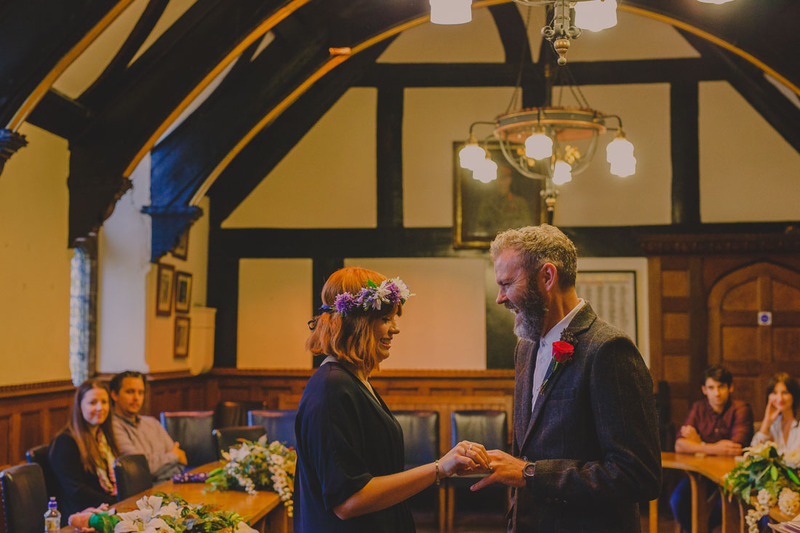 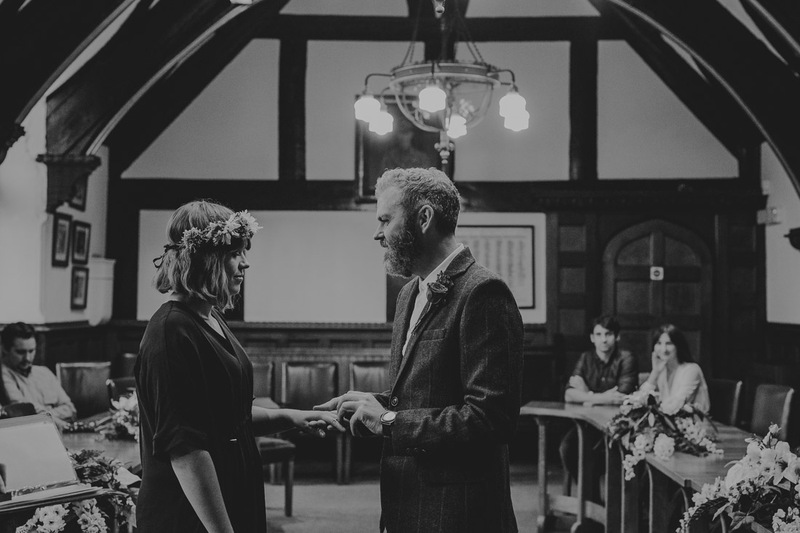 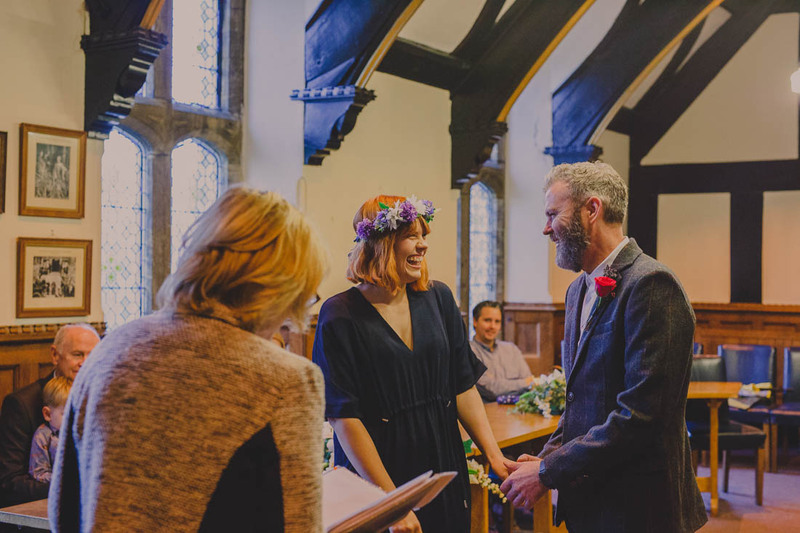 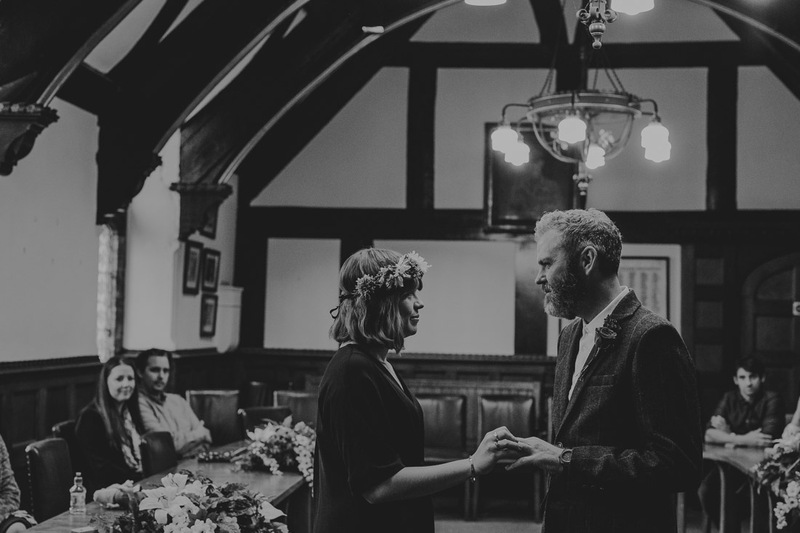 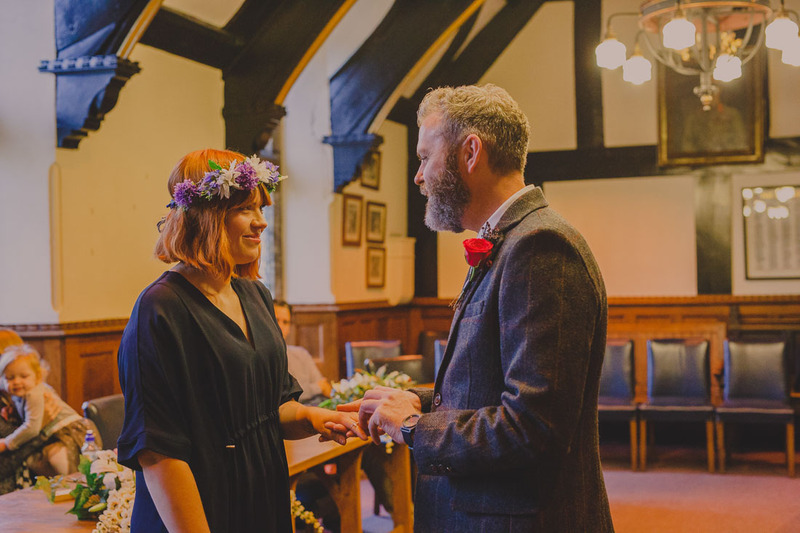 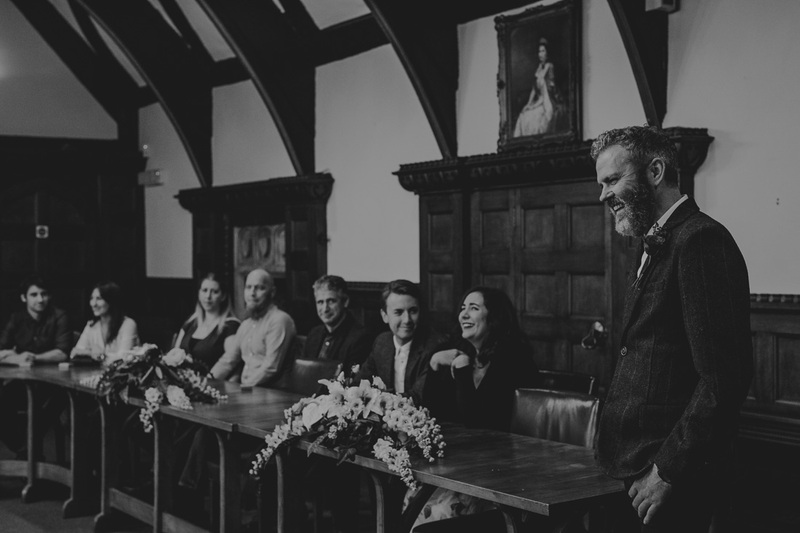 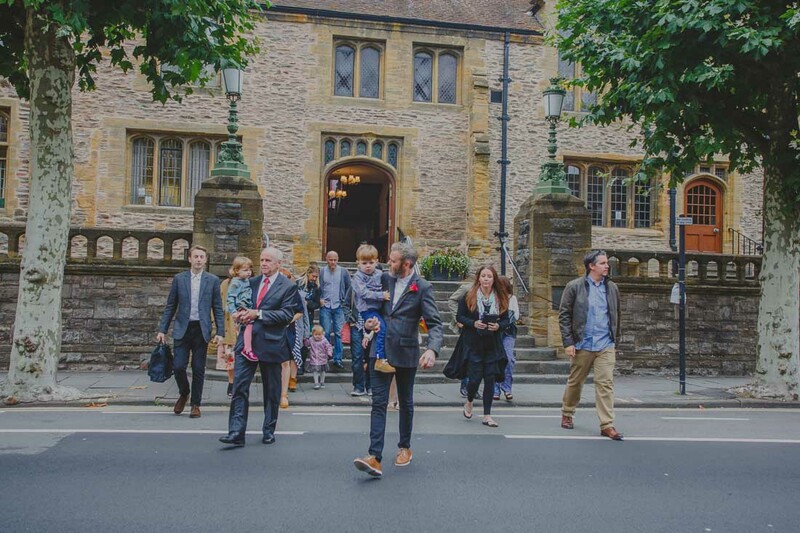 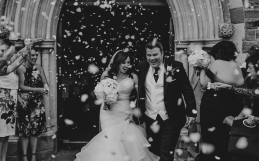 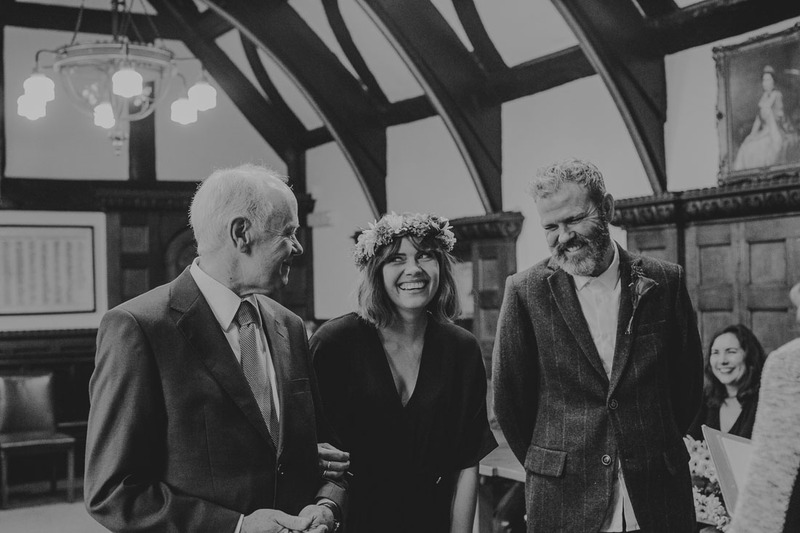 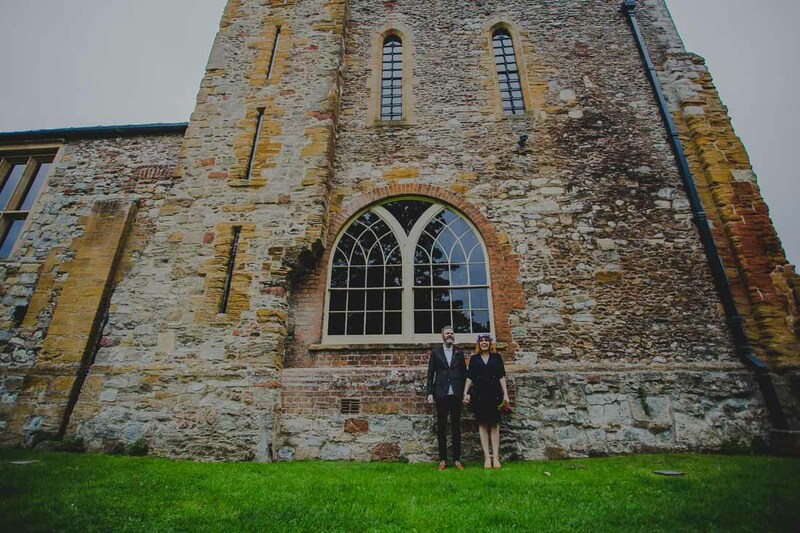 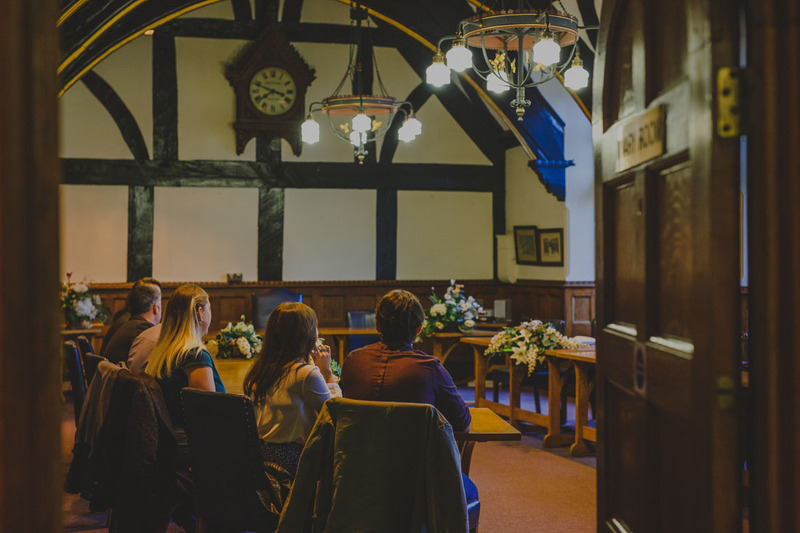 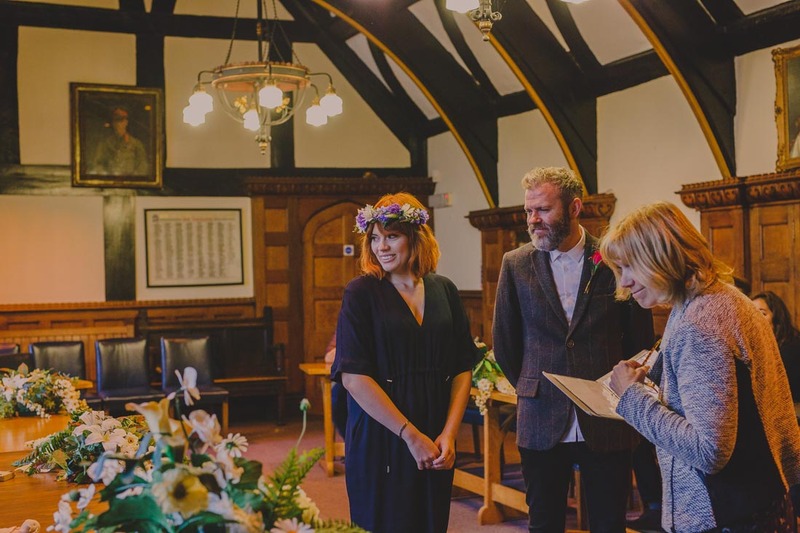 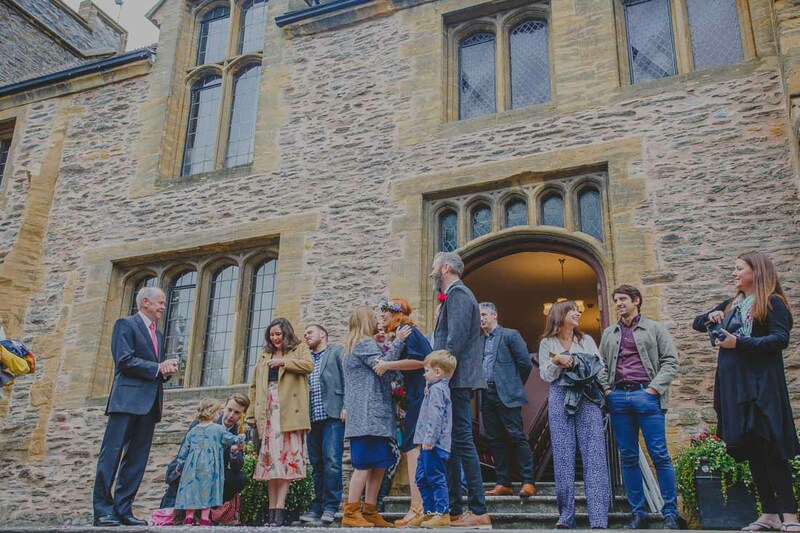 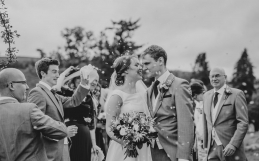 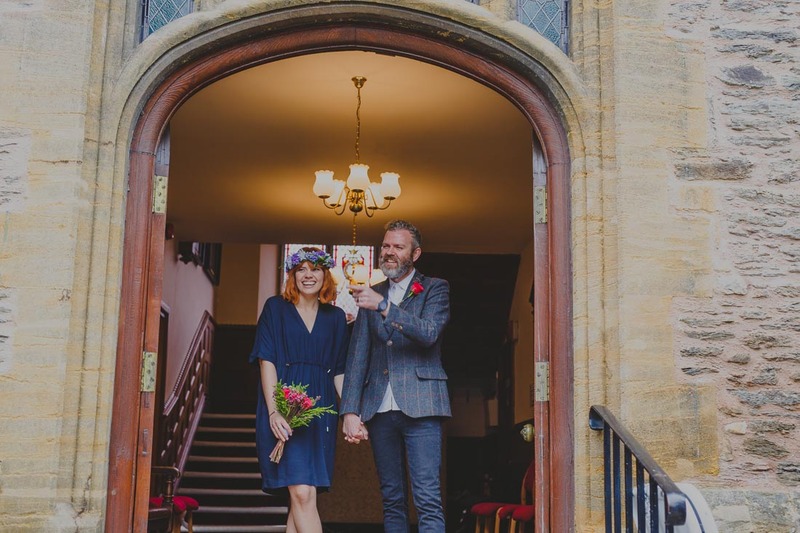 The wedding itself took place at Taunton registry office which is a stunning venue in the heart of the quaint, bustling town. 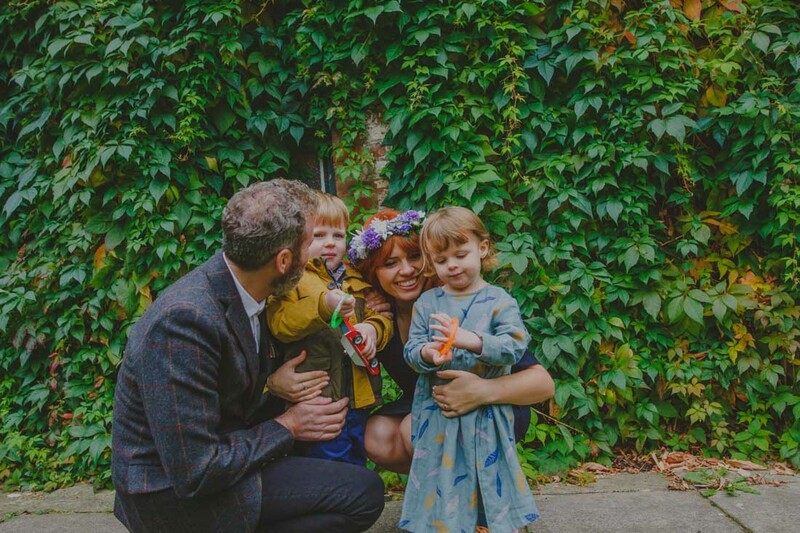 Their two young children Winona and Angus (how amazing are their names!?) 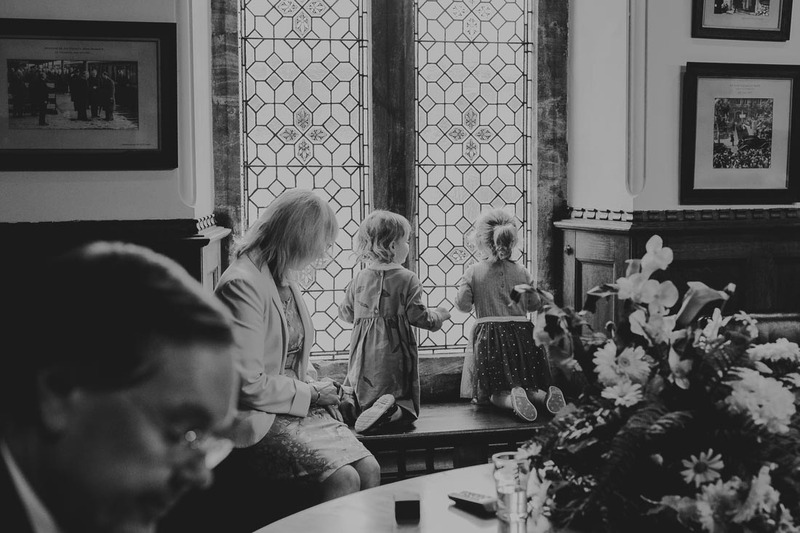 were given little toys to play with throughout the ceremony and as keepsakes for the day. 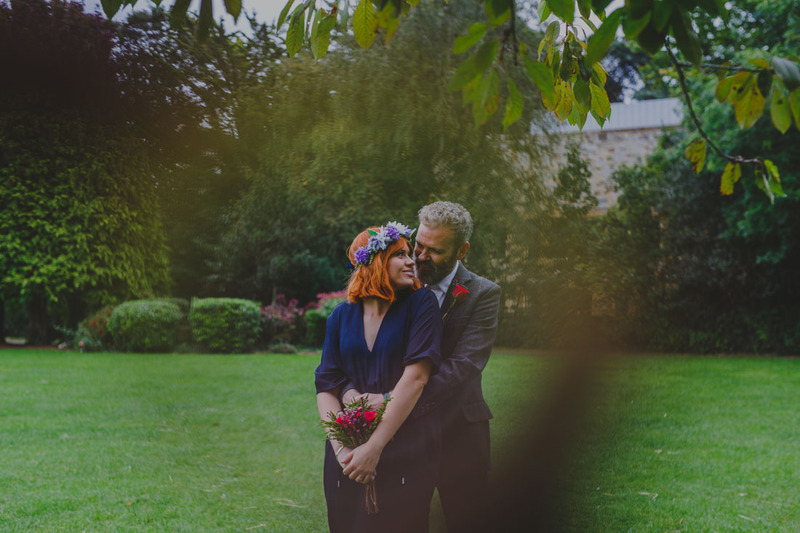 Their closest friends and family members attended and it was a very casual affair. 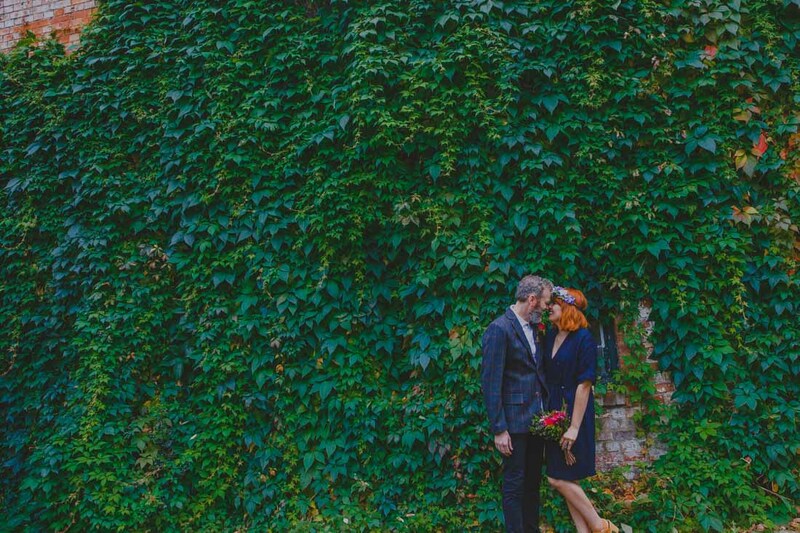 I loved Nicola’s navy dress with her red hair and Jason looked amazing in his suit. 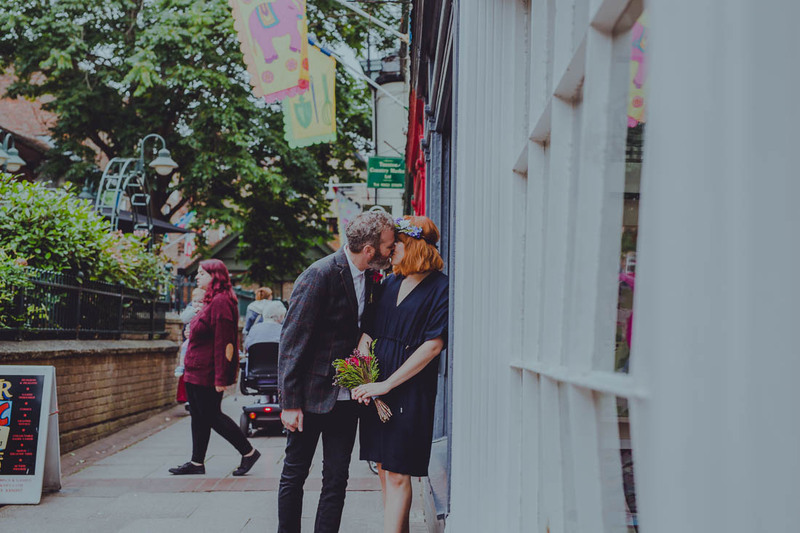 After the ceremony they headed outside for confetti and a handful of photographs before going to the restaurant over the road for drinks. 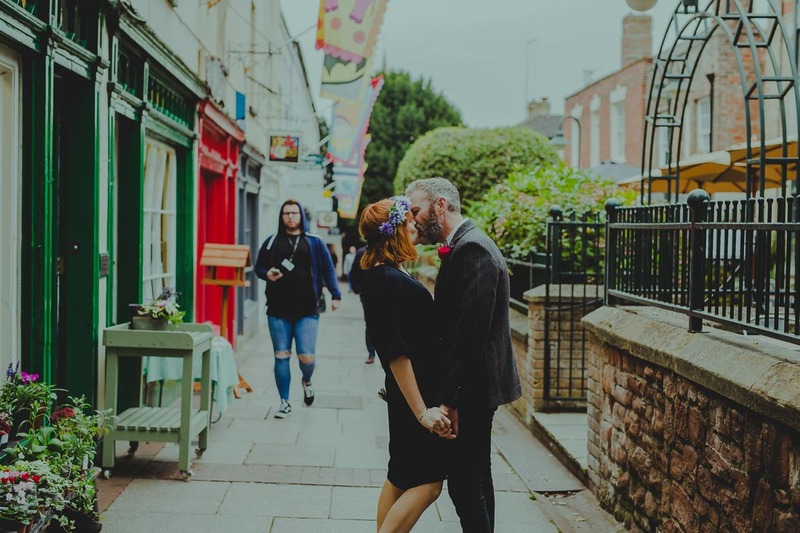 Whilst their guests enjoyed their drinks we went for a quiet walk around the town, through the gardens and through the busy cobbled streets taking photographs along the way. 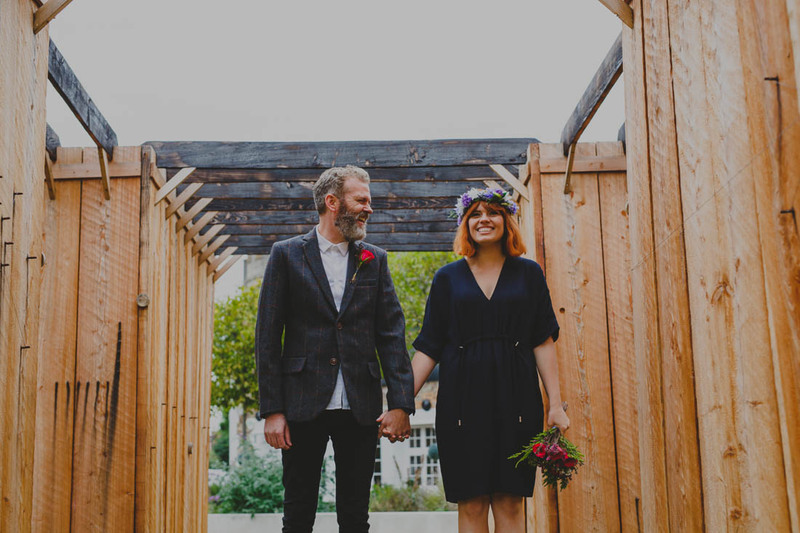 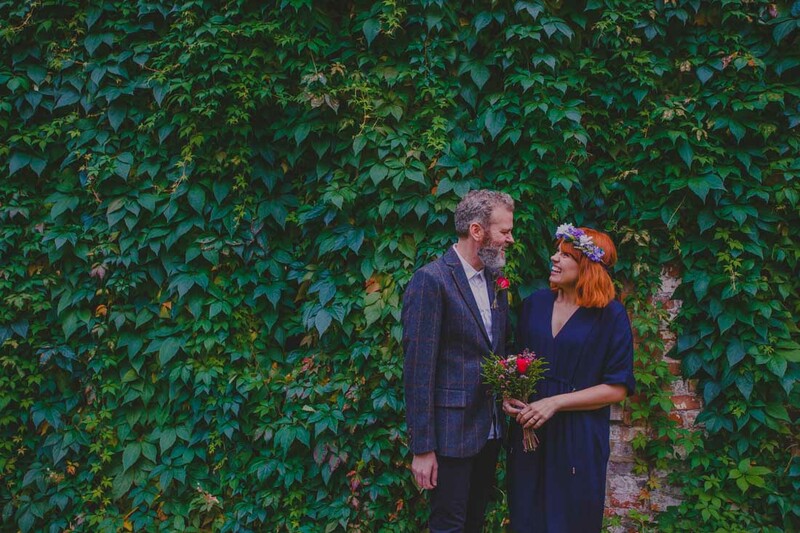 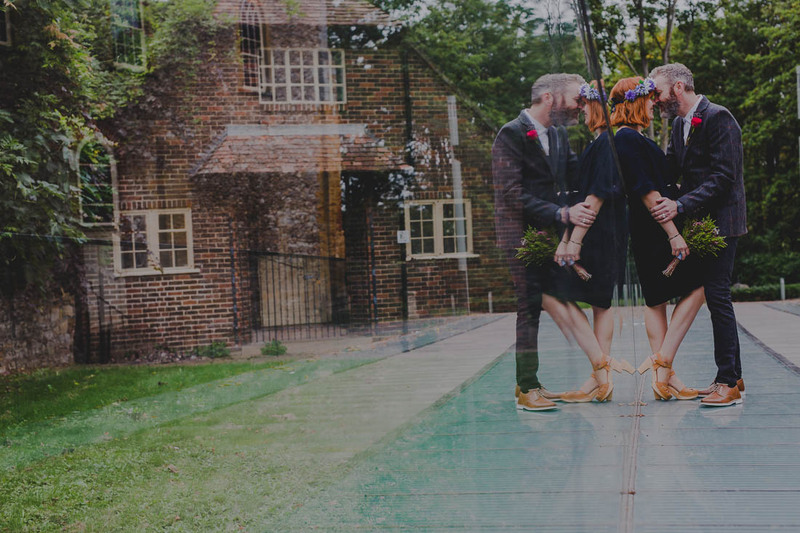 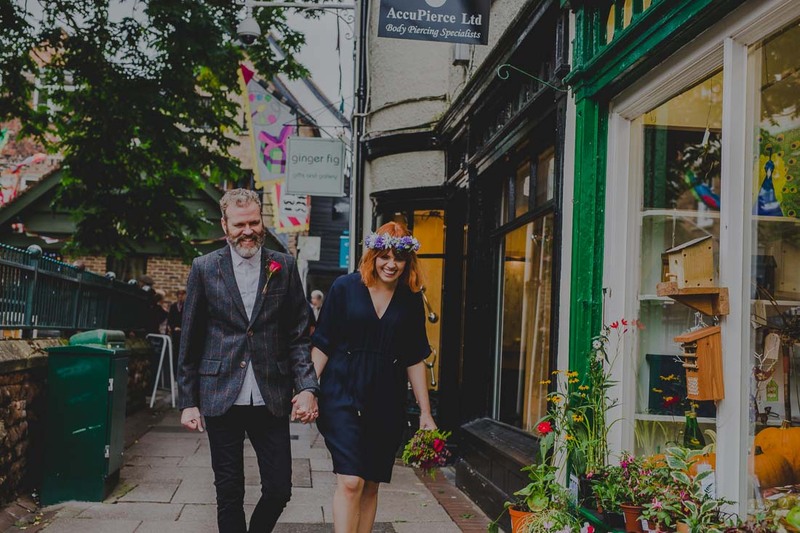 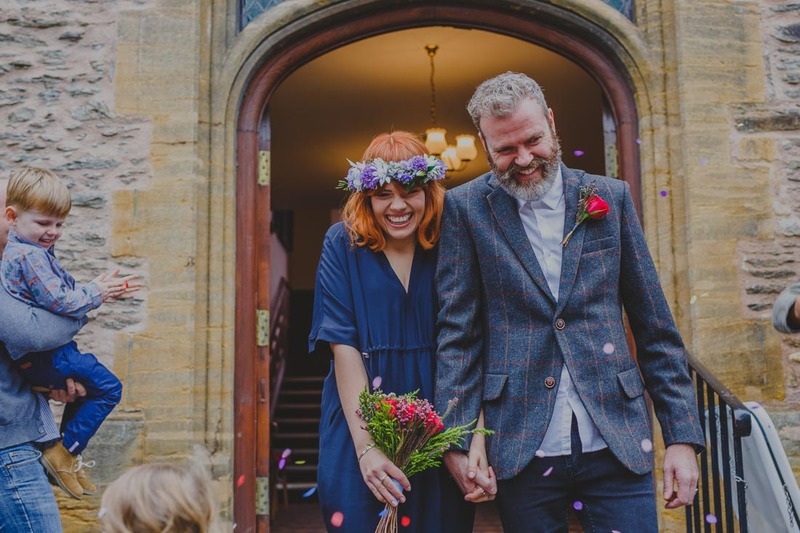 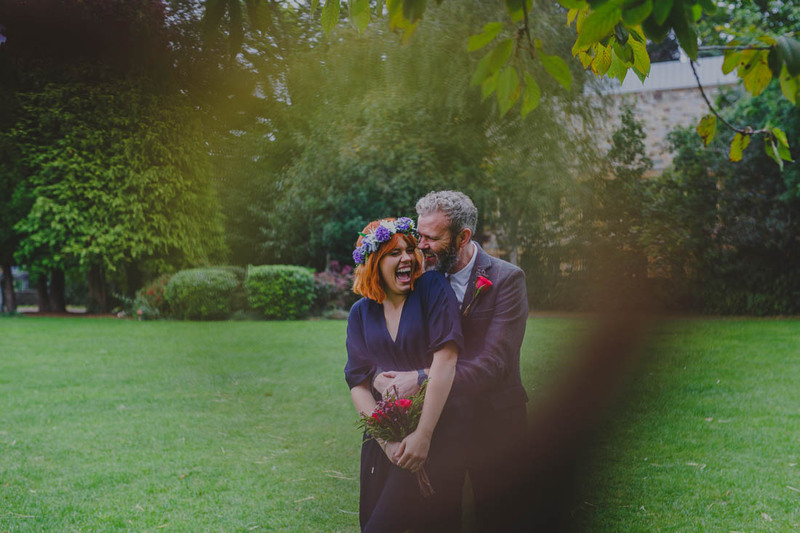 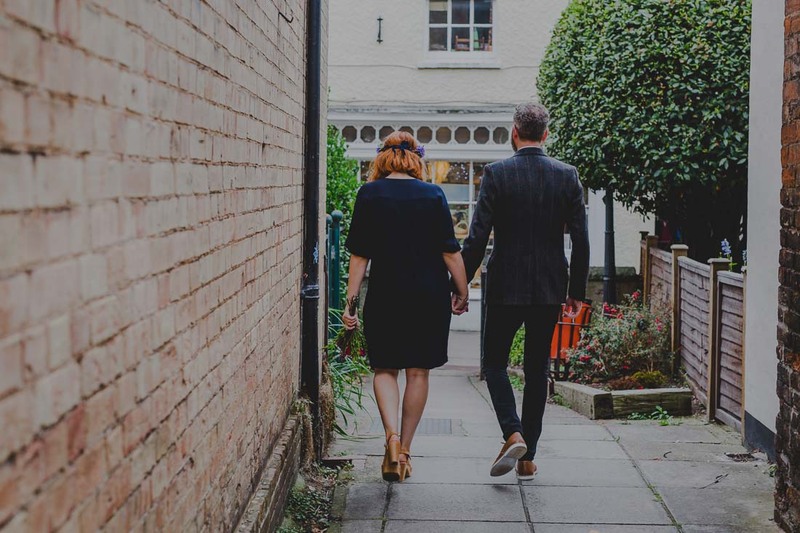 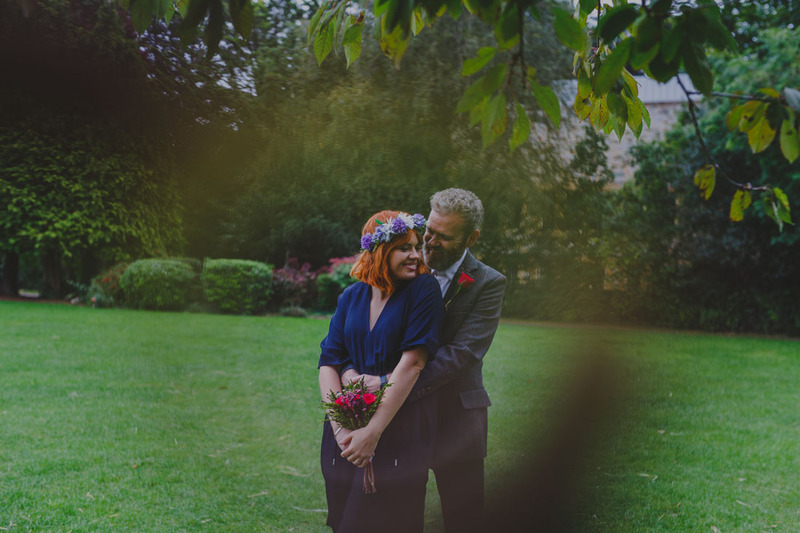 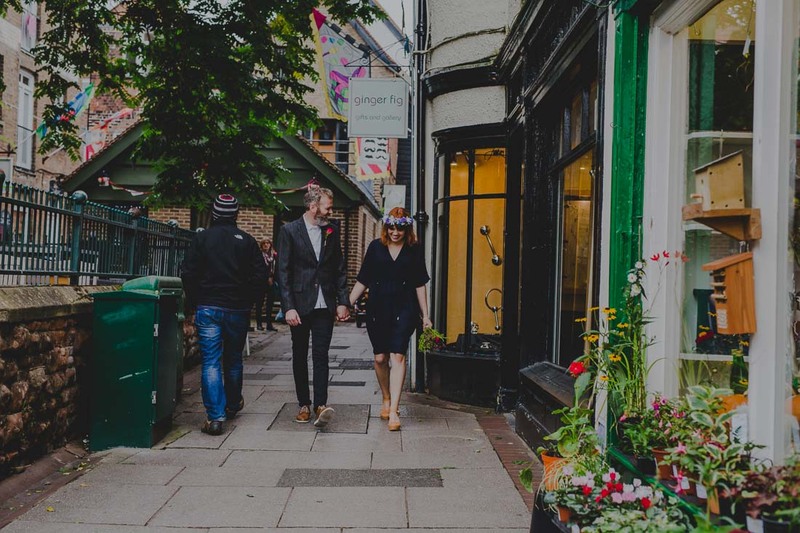 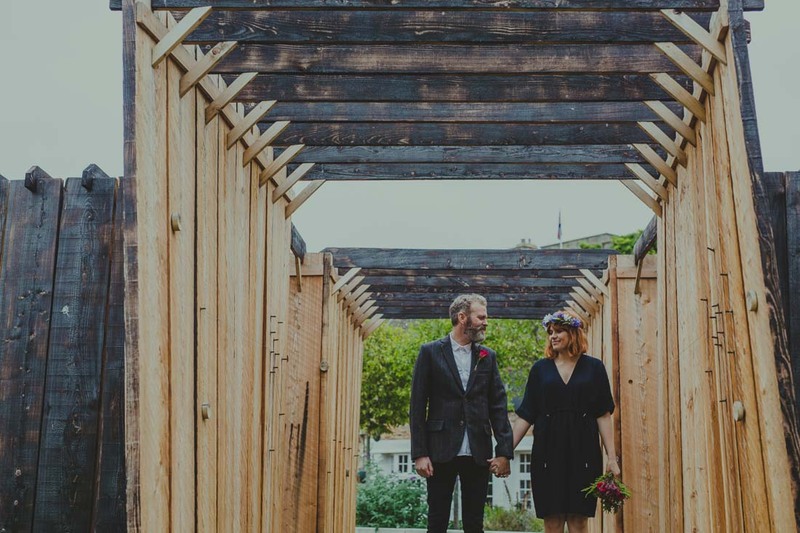 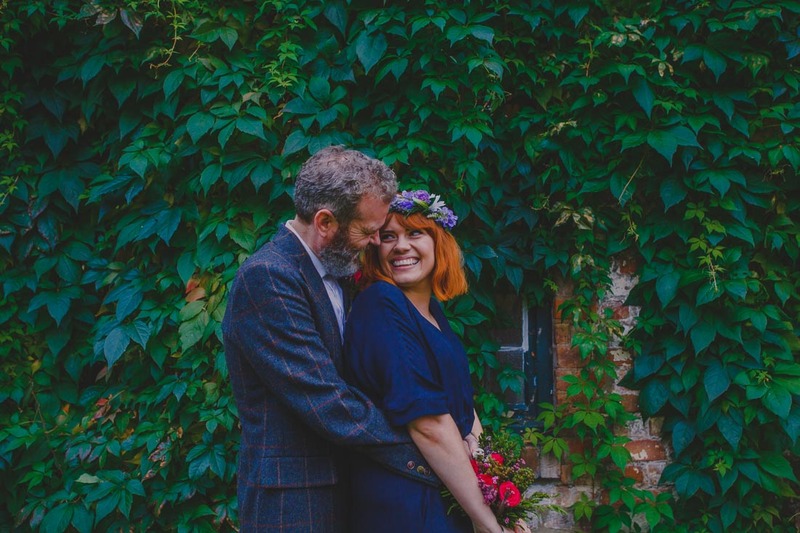 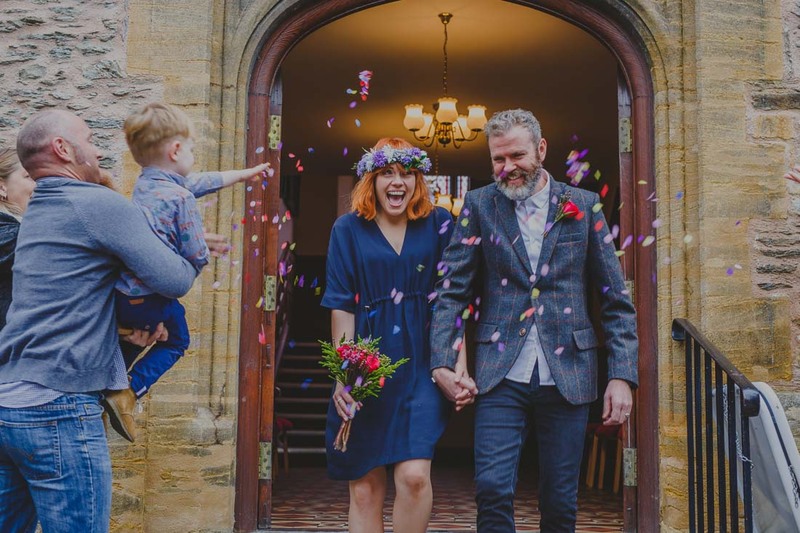 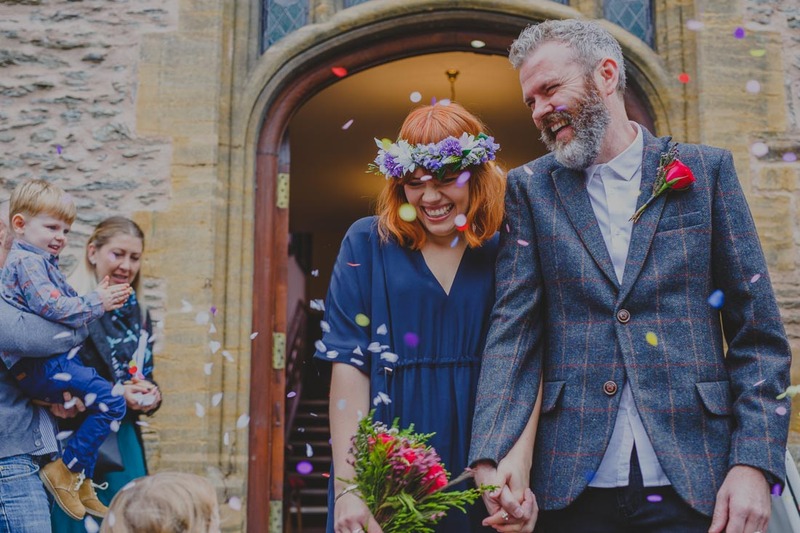 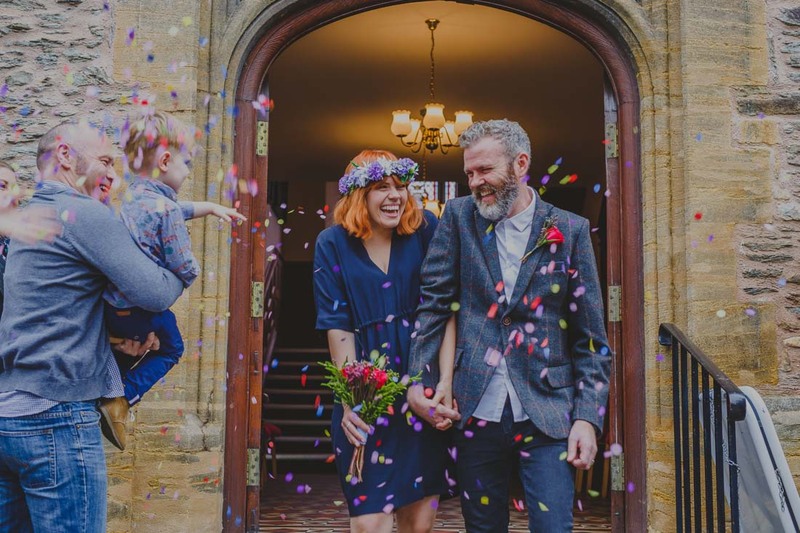 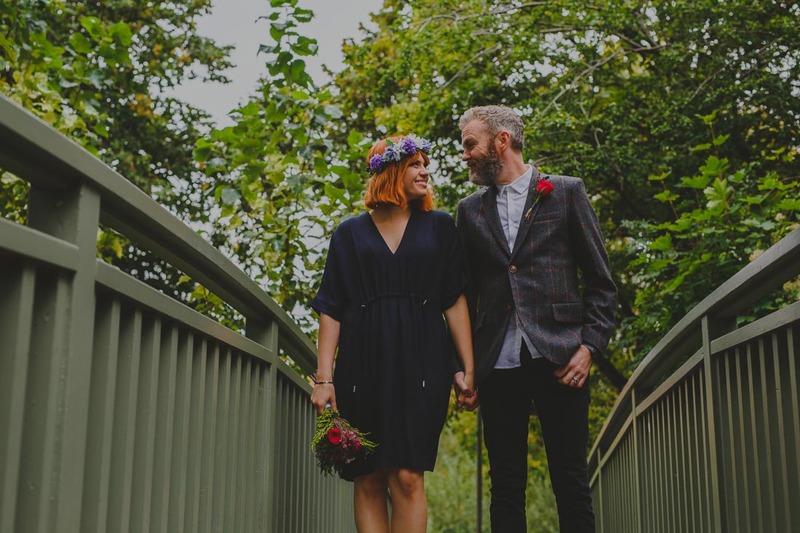 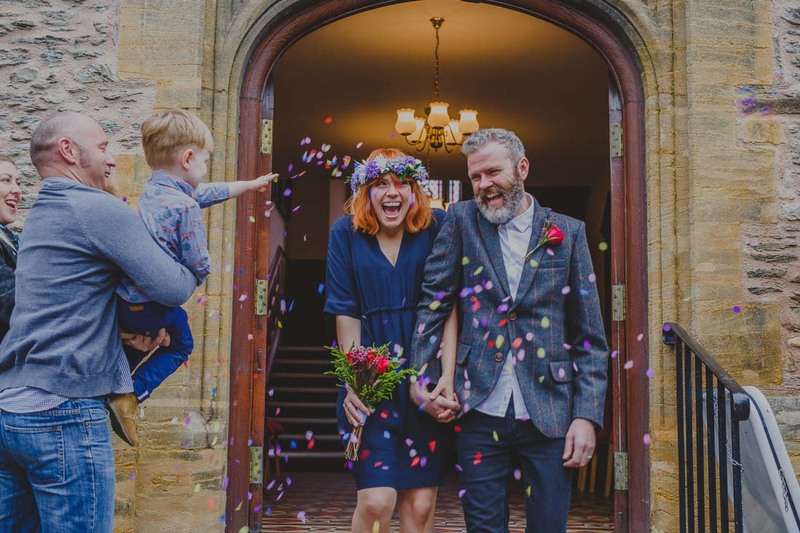 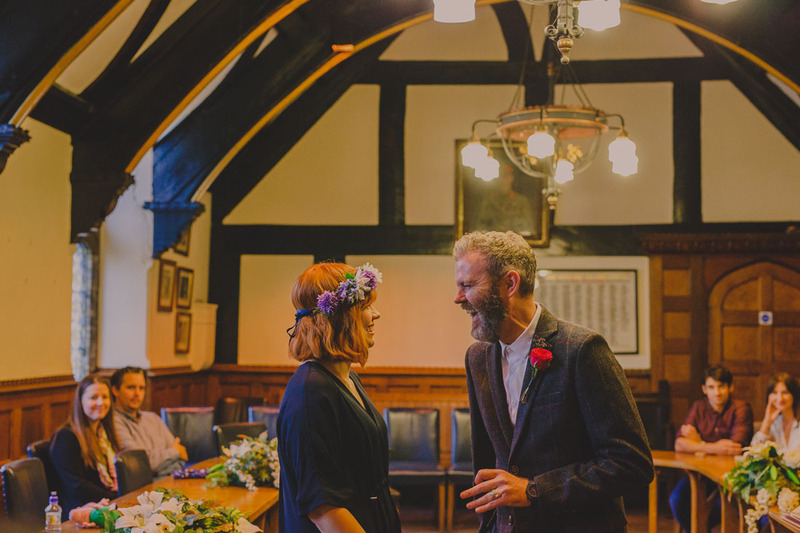 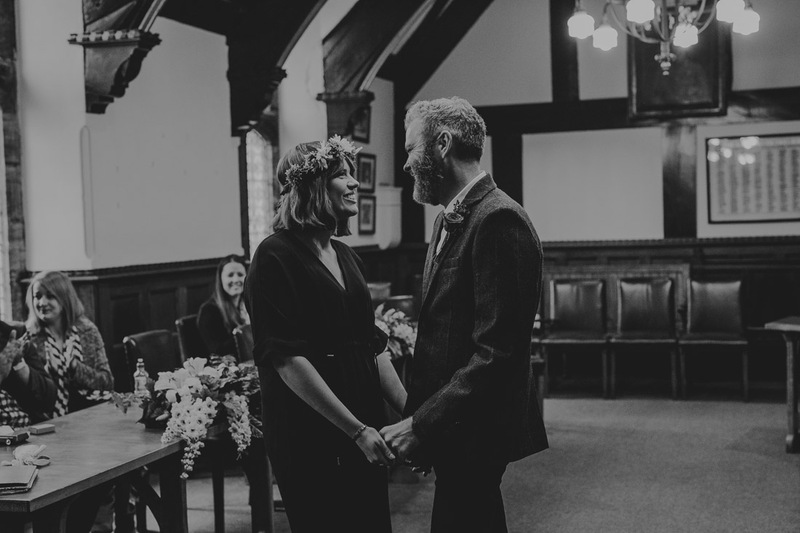 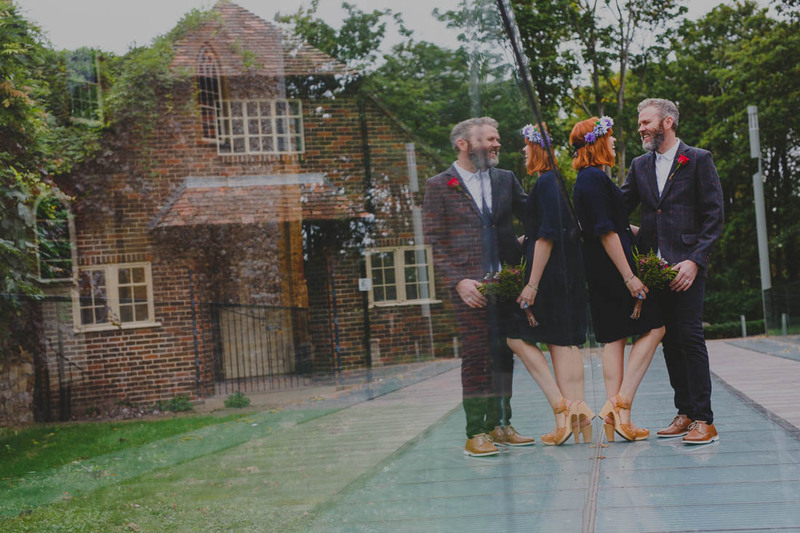 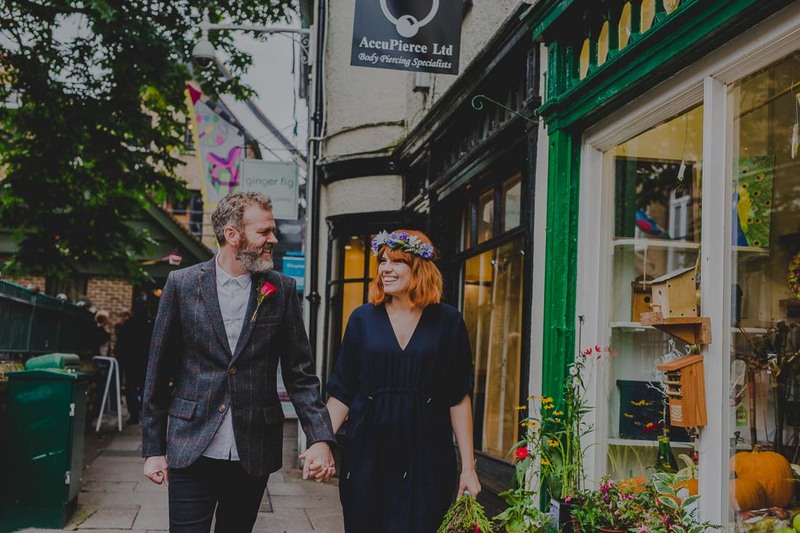 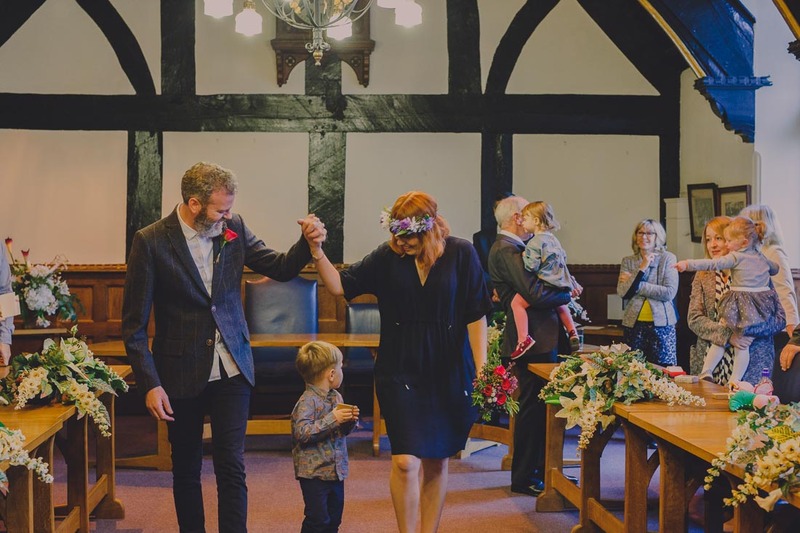 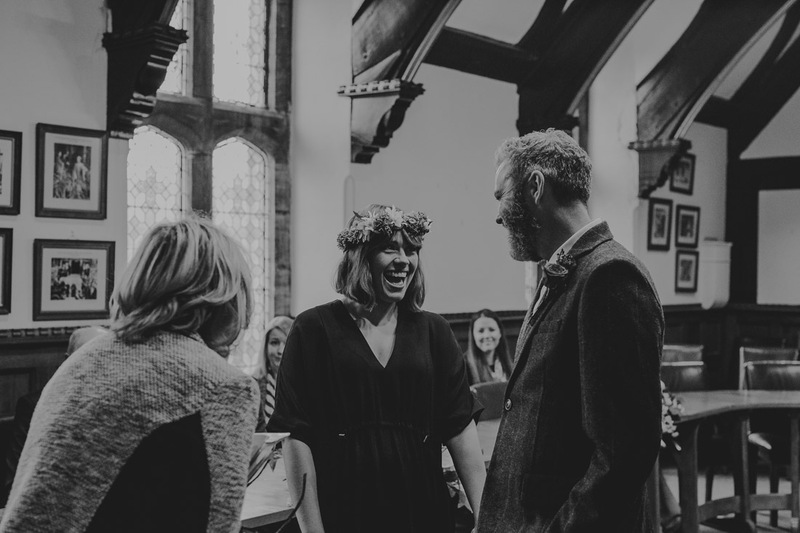 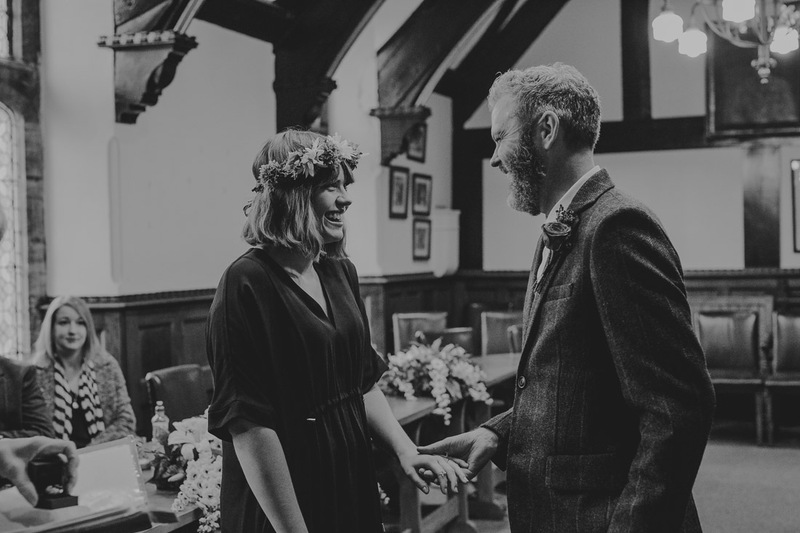 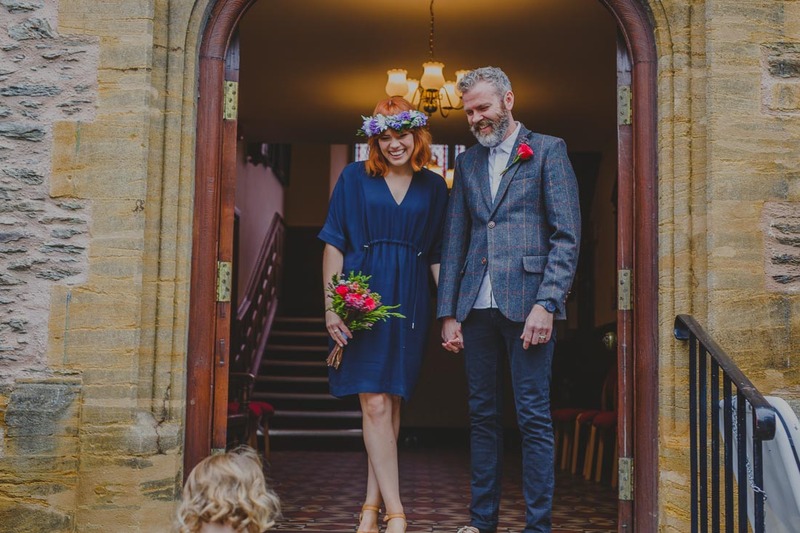 They are such a fun and vibrant couple and it was really heart-warming to hear them say how they could have spent £20,000 on a wedding but preferred to save it for their children’s future. 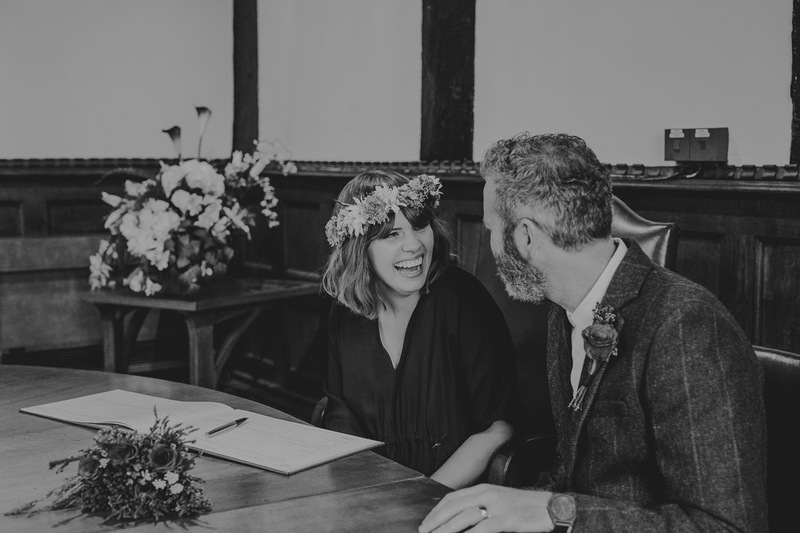 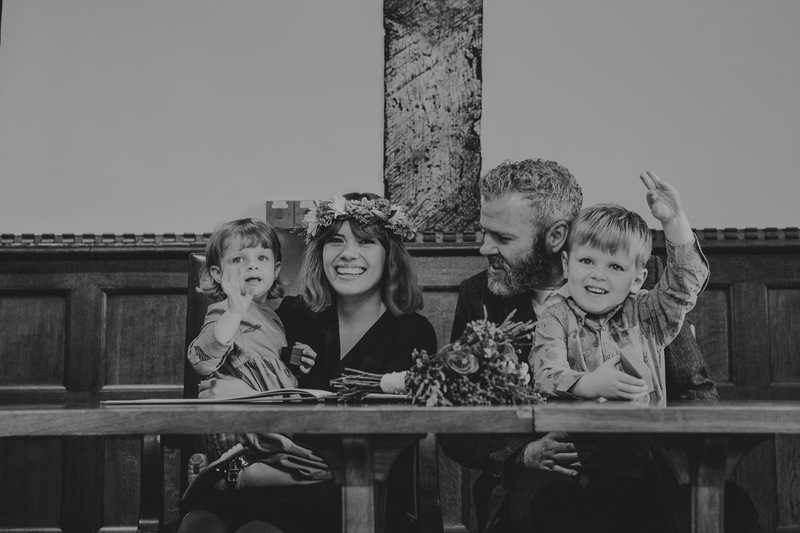 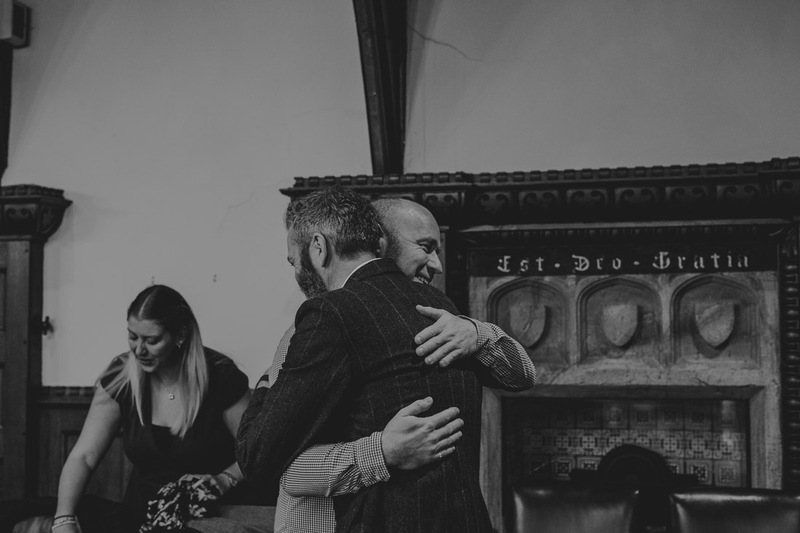 You really do not have to spend a fortune on your wedding – what truly matters is that you have the wedding YOU want to have with the people you love. 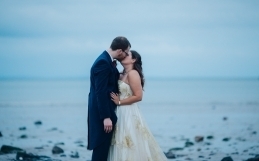 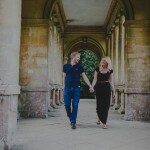 For these two – their kids rock their whole world and it clearly showed.